“Kesher” means “connection” in Hebrew. TBANS Kesher Program is designed to connect every child in our school to a wide variety of experts in child development who help to ensure that each child is on the right path toward success in further schooling and in life. Professional therapists in a variety of fields provide consultation and intervention services to teachers, parents, and children at little or no additional cost to families. TBANS values the unique qualities that each child brings to our community, and our goal is to provide the necessary supports to promote each child’s success. 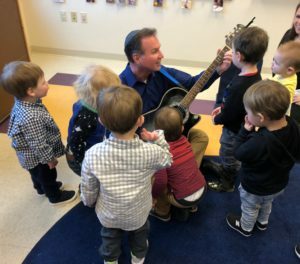 It is important to note that the strategies Kesher specialists help implement in the classroom are truly beneficial for all young children, not only those with diverse learning needs. Kesher staff includes: Meredith Polsky, Developmental Support Coordinator; Jen King, Speech Pathologist; Judi Lapidus, Occupational Therapist; and Naomi Rubenstein, Social Thinking Specialist. We also partner with Social Workers through the Synagogue Liaison Program of the Jewish Social Service Agency. 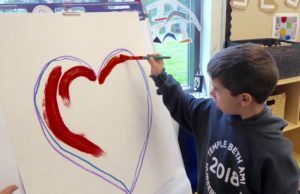 Kesher services provided at TBANS include teacher consultations, during which specialists focus on behavioral intervention or practical application techniques to facilitate children’s skill development. Kesher staff meet with parents and coordinate with outside service providers to create comprehensive and consistent treatment plans. Kesher specialists also provide ongoing formal professional training to help teachers achieve classroom specific goals. And Kesher conducts screenings of students, which include clinical observations, testing and reports of findings and recommendations to parents and teachers. The ability to include specialists on a nursery school staff is quite unique. Each child is benefiting tremendously from these experts’ knowledge and insights. 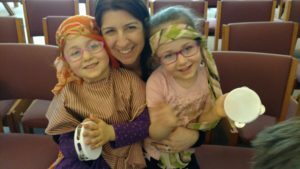 The Kesher Program is funded by revenue from tuition, private donations, and Parent Committee fundraising.